We do birthday parties, corporate events, non-profit events, fundraisers, bachelor/bachelorette parties, etc. If you want to celebrate, we can make it happen! Our 7,000 sq ft. facility offers a 5,000 sq ft. turf playing field, private party room, and arcade games. There are also a range of packages available to fit your party and your budget. Knockerball and Archery Tag available! Inquire today to see how we can make your next party a big hit! 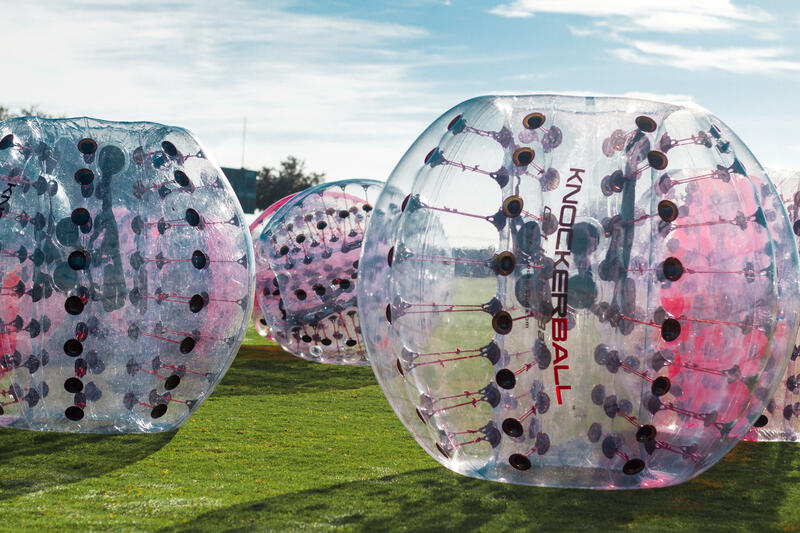 For information on Knockerball and Archery Tag, please visit their information pages from the top navigation. -All participants are required to have a signed waiver. Anyone under 18 must have one signed by their parent/legal guardian. Your choice of 1 hour of Knockerball or 1 hour of Archery Tag. Our entire facility is yours for the hour.You may bring in cake and/or food. We have picnic table style seating and plenty of area in the front for you to utilize during your time. You may have up to 15 participants. Our entire facility is yours for the 2 hours.You may bring in cake and/or food. We have picnic table style seating and plenty of area in the front for you to utilize during your time. Perfect for those large events/groups that you may have. Our entire facility is yours for the 2.5 hours.You may bring in cake and/or food. We have picnic table style seating and plenty of area in the front for you to utilize during your time.